Darci Lynn wins America’s Got Talent Season 12! Congratulations! It has been an emotional ride for her, and she did it with her good friends, Rocky, Petunia, and Edna her puppet friends. So what’s she going to do with her millions of dollars – pay bills? What bills does she have? She’s a teenager. Probably the parents will handle the financial and she’s going to perform in Las Vegas in November, but before she does that, she has to go back to school and brag to her friends that she won America’s Got Talent. She will be busy for the next weeks to come. You know homework, school, and friends. She had a tutor on the set, which is good. Did you know 52 million people voted for their favorite performer? This is good for America’s Got Talent, can’t wait to see next year. Light Balance and Divalo were absolutely fantastic; I hope they perform soon in Las Vegas. Derek Hough was dancing with Light Balance, that was a surprise. Kechi, Angelica Hale sang with Kelly Clarkson “Stronger” incredible voices, first American Idol winner in 2002, and she sang a new song “Love so Soft” it’s a hit song. Kelly Clarkson also reunites with Simon Cowell; he’s a producer for AGT. Oh, by the way, be sure to watch the NEW American Idol coming in 2018 on ABC. Sara Carson trains the judge’s dogs and immediately put Howie Mandel in time out because of his bulldog. It’s quite hilarious. I hope Sara and her dogs get to work in TV and films. Howie Mandel and Preacher Lawson, great comedians and I hope Preacher Lawson makes it big in Hollywood either joined a show or have his own show. The other performs Mandy Harvey, Chase Goehring, Evie Clair, Sara and Hero (and her dogs) Divalo, Light Balance, Preacher Lawson, Kechi, and Angelica Hale. They were all good. It’s not the end for them it’s a new beginning for them. 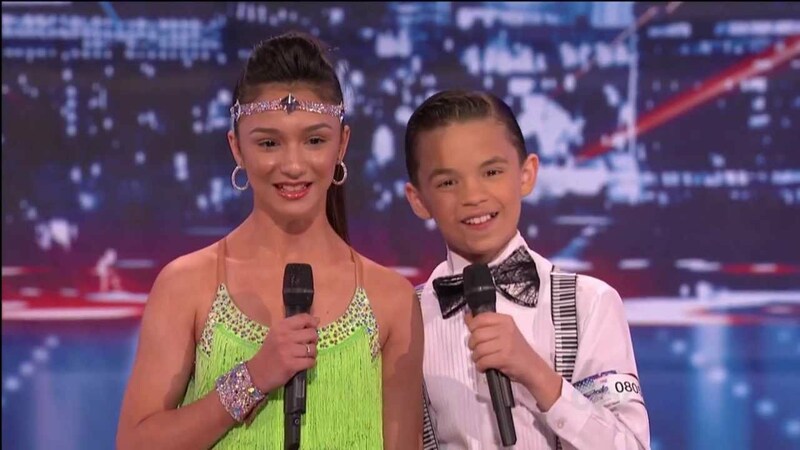 They will succeed life after America’s Got Talent.